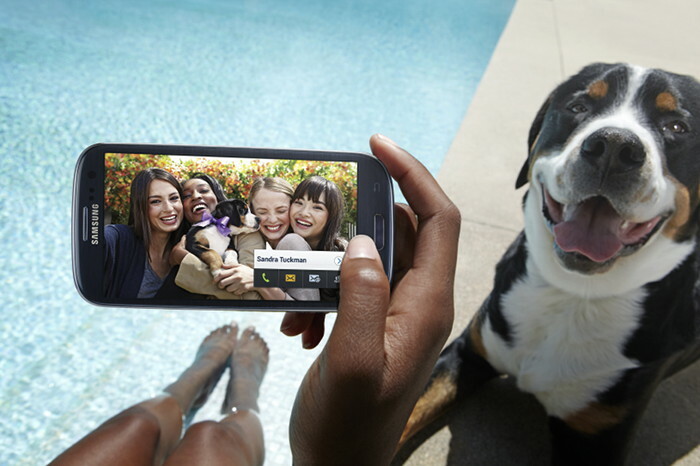 After months of teasing, Samsung has finally released its Galaxy S III smartphone in Australia. The phone is available now online from Optus and Virgin Mobile, and will be sold in Vodafone retail stores from midday. Telstra will also carry the phone. Vodafone claimed to be selling the Galaxy S III online from 11AM, but its website does not yet show the phone. Optus is selling the white Galaxy S III today on a variety of plans, but the Pebble Blue model can only be pre-ordered — with delivery expected within ten business days. The blue Galaxy S III has been delayed due to possible manufacturing issues. Samsung has set the recommended retail price of the Galaxy S III at $899 for the 16GB model, which will be "available from all operators". No pricing information for the 32GB or 64GB models has been released yet. Allphones is selling the 16GB Galaxy S III online, in stock now only in white, for $798. The phone will be available in Allphones stores for $825 from 3PM today. Importer TopBuy is selling the Pebble Blue Galaxy S III outright for $699 plus $27.95 postage. The first batch, shipping on 2 June, has already sold out. The second batch will be dispatched around June 10.